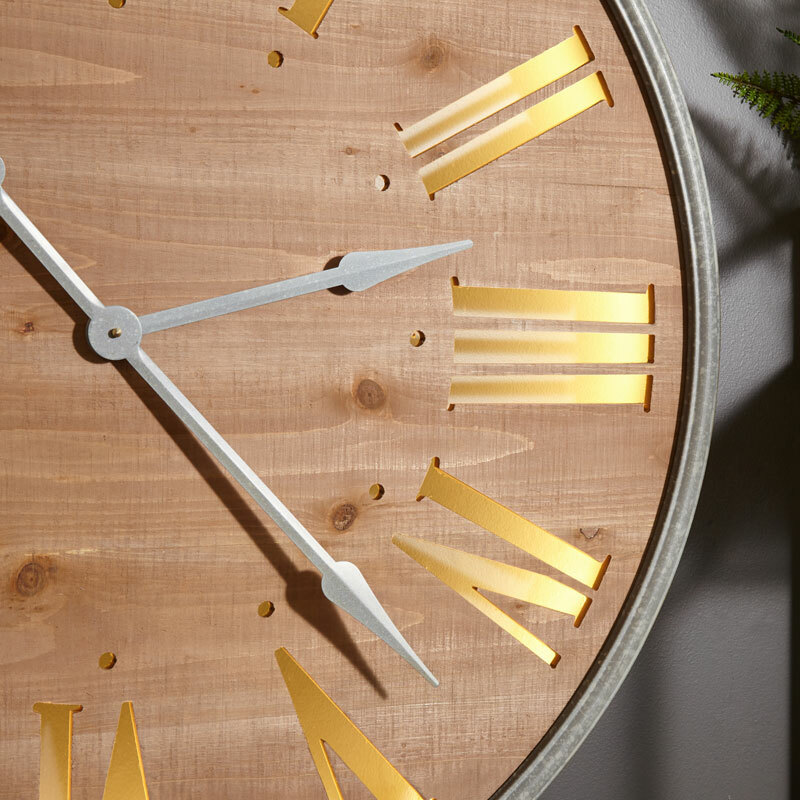 A clock to make a statement! 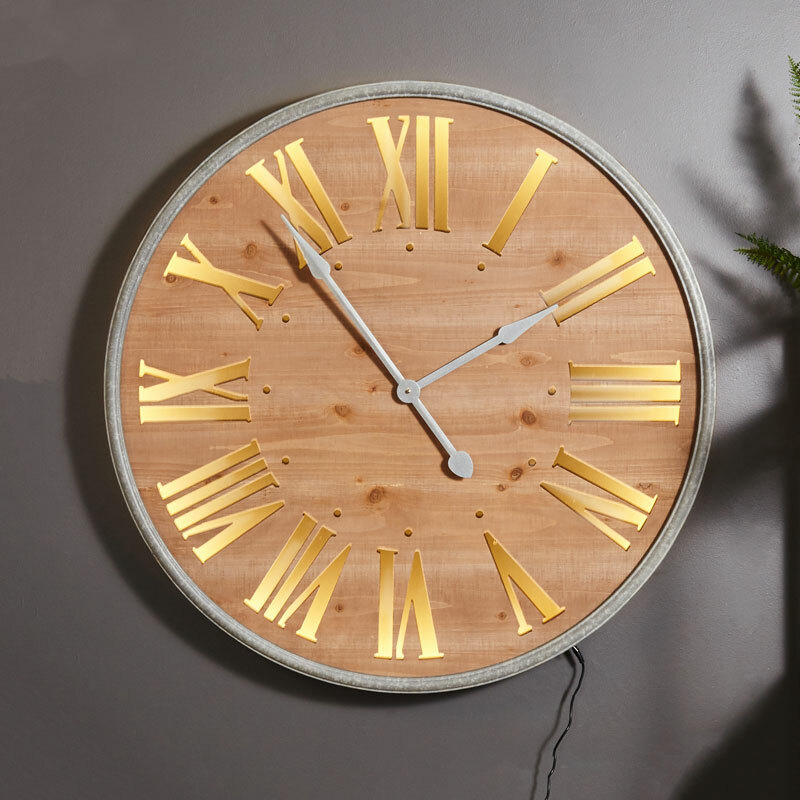 This large wall mounted wall clock will become the focal point in any rustic living room or hall way. 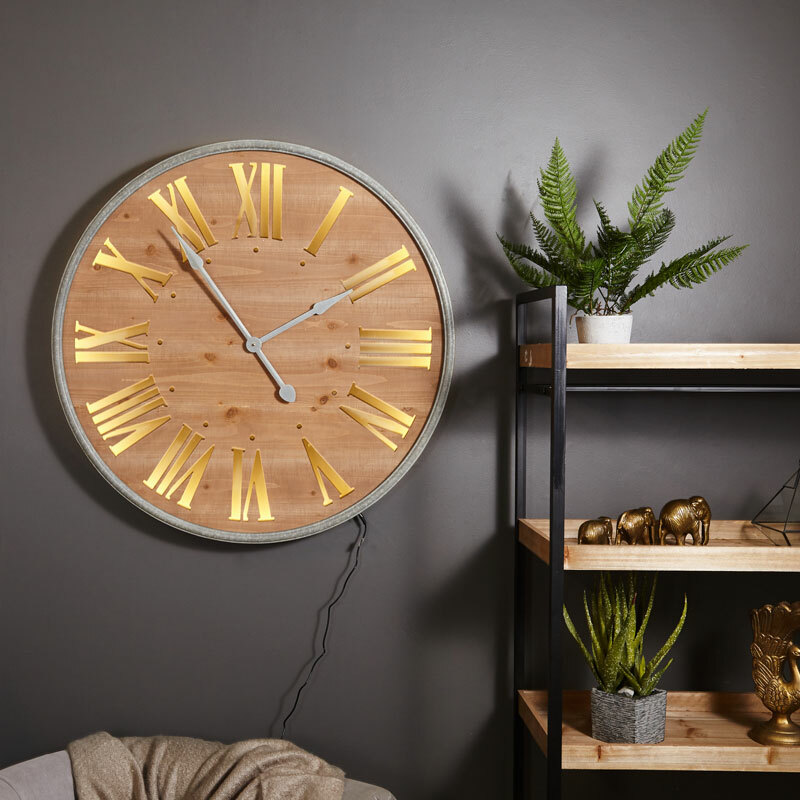 The main design of the clock is resemble an industrial vibe which is complemented by the large roman numerals which are lit up when the clock is plugged in. Make your friends and neighbours jealous with this striking focal point. The clock is mains operated and is lit with an LED strip light surrounding its inner frame. The main clock works on a single AA battery which is not included.